I left work early Thursday to catch some movies at the San Francisco International Film Festival. I only had time for two. 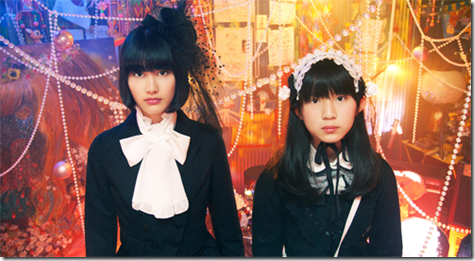 I’m really not sure what to make of this Japanese teenage drama. Seventeen-year-old Shiori lives with her theater-oriented boyfriend and enjoys some modest fame from her video blog. Then a 13-year-old ardent fan worms into her life and begins to mess things up. But before you can say “teenage All About Eve,” the film takes a very strange turn. And then another, and another. I have to admit that I had a hard time following the story. Perhaps it’s my ignorance of current Japanese youth culture. Or the fact that a lot of on-screen written text wasn’t translated into English. Or maybe it was just incoherent. But the film had enough good scenes, and a couple of very good ones, to keep it from being a total loss. The movie will screen two more times in the festival, both at the Kabuki. Today (Friday) at 8:45, and Saturday at 4:45. Tonight’s screening is sold out, but there may be rush tickets available. 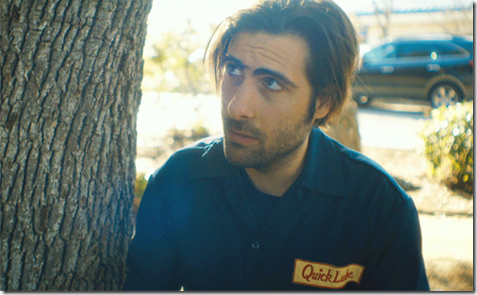 Larry (Jason Schwartzman) doesn’t amount to much. He drinks an awful lot. He can’t keep a job. He thinks he’s funny. He’s attracted to women, but he won’t lift a finger to connect with one emotionally or physically. He has a loyal, ugly-cute dog. While technically a comedy, 7 Chinese Brothers doesn’t try to be extremely funny. Writer/director Bob Byington seems more interested in examining Larry and his world than delivering laughs. But the laughs it gets are heart-felt, and the story doesn’t really need laughs. The title comes from the REM song. This one will also screen today and tomorrow at the Kabuki. Friday at 3:30 and Saturday at 9:30. Today’s screening is sold out, so the only tickets available will be rush tickets. 7 Chinese Brothers will likely get an American theatrical release.